I Am a Trustee: What Do I Do Now? Home > Handling an Estate > I Am a Trustee: What Do I Do Now? Trustees are in a unique position of responsibility. They have a range of legal obligations that must be fulfilled – and tax requirements are paramount amongst these. You may have a number of tasks that need to be completed following the death of a settlor (that is, the individual establishing the trust). You should make sure that these tasks are completed promptly – and understand your lasting responsibilities. Perhaps the most important first step is to determine whether or not the trust has actually come into existence. While some trusts are established at the time of the testator’s death, others may not be established until a later date – for example at the end of the period of administration. This is particularly common in cases where the testator wishes the balance of their estate (after other liabilities have been accounted for) to pass into trust. You should be able to determine when the trust is established by looking at the deceased individual’s will, or the trust documents. These are likely to be lodged with their solicitor, or personal representative. If there is more than one trustee, it is generally accepted that one should be appointed the ‘principal acting trustee’. This individual will have responsibility for dealing with HM Revenue and Customs. This is an important role; if the principal acting trustee fails to fulfil their obligations, the law will hold all of the trustees jointly responsible. As the principal acting trustee you should make sure that HMRC has been notified of the existence of the trust. 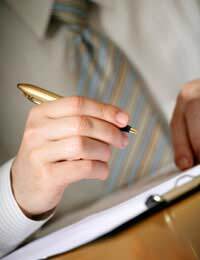 This task will normally be completed by the deceased individual’s personal representative, but you should make sure that it has been carried out. You will then be contacted by the Tax Office, who will seek more information about the nature of the trust. If you do not hear from the Tax Office in question it is vital that you contact them as a matter of urgency. Trustees are responsible for the management of the assets held in trust. They (or the principal acting trustee) are also responsible for the continuing tax affairs of that trust. Broadly speaking, you will have to make sure that any Income Tax or Capital Gains Tax liabilities are declared and paid, and that HMRC is notified of any ‘chargeable event’ for Inheritance Tax purposes. You will also be required to keep records of the trust’s income and expenses throughout the year. These records will be needed to complete the annual return. It is your responsibility to ensure that the return is completed and returned on time, and that any tax is paid. If the trust has beneficiaries who receive discretionary payments, you will also need to provide a statement to those individuals when asked. You can use form R185 to help you do this, which is available from the HM Revenue and Customs website. Finally, it is important that you remember that your position as a trustee may impact on your own tax responsibilities. Depending on the terms of the trust, you may see an increased personal liability for Income Tax, Capital Gains Tax, or Inheritance Tax. As with all aspects of trust and tax law, you should seek advice from an accountant or solicitor if you are in any doubt. Am I Entitled to Benefits After a Death? What Do I Do After Someone's Death?